Earlier this week, BetaKit first reported that Kitchener-Waterloo wearables startup Thalmic had been issued multiple patents pertaining to a wearable device utilizing holographic technology. BetaKit also provided additional details on the product, including the need for users to have the device fitted to their face, and Thalmic’s plans to operate physical retail outlets to facilitate this process. Sources with direct knowledge of the product have confirmed to BetaKit that North is, in fact, Thalmic’s smart glasses play and consumer-facing brand. Sources with direct knowledge of the product have confirmed to BetaKit that North is, in fact, Thalmic’s wearable smart glasses play and consumer-facing brand. The company declined to provide comment to BetaKit for this story. However, since its publication, Alexis Ohanian, co-founder of Reddit and Initialized (a Thalmic investor) has confirmed the Thalmic-North connection. Thalmic co-founder Stephen Lake has also posted a very telling “🤓” emoji on a version of this story in Facebook Group StartupNorth. The North remembers… how bad Google Glass were. Get ready. Here comes another @Initialized company revolutionizing an industry. The patents first reported by BetaKit earlier this week described a wearable device utilizing eye-tracking, microphones, and hologram technology, essentially projecting digital images in front of the wearer’s eye. The patents also referenced microphones, cameras, thermometers, and compass sensors which could be contained in the device, as well as a transceiver for sending wireless signals. Sources also confirmed to BetaKit that the smart glasses would function with a controller device, likely a ring that operated a mouse pointer to interact with images displayed in the wearer’s field of view. An image from a Thalmic patent indicating how the company will cram all that tech into the smart glasses’ temple. Images taken from Thalmic’s patents demonstrate how such technology is packed into the North frames (above). The end result, displayed on the North site, indicates an integration that is barely noticeable to those unaware, unlike other smart glasses products from Google or Microsoft. One interesting element of note is the North logo, which presents a curved line to represent the ‘o’. This may be a simple reference to glasses lenses, or a subtle call-out of the curved optical holographic technology Thalmic has applied to patent, which BetaKit reported in June 2017. The North logo beside a drawing of the hologram lenses included in Thalmic’s patent filing. BetaKit and The Real Deal have previously reported that Thalmic is sourcing retail space in Toronto and New York, and this space will be used to facilitate the North launch. One reason for this is that the North smart glasses require that they be face-fitted to each specific wearer; these outlets will facilitate that on-boarding process. In June, Thalmic added Adam David Ketcheson as its CMO. 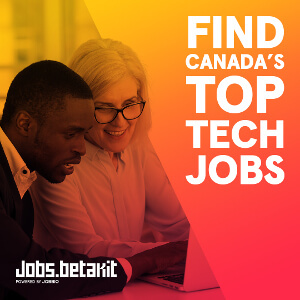 Previously at Arc’teryx Equipment and The North Face, Ketcheson has both direct-to-consumer and traditional retail marketing experience (Thalmic’s career page currently lists roles for retail specialists in Toronto and Brooklyn). Thalmic is taking a “big swing” by launching a consumer-facing smart glasses brand. Google, Sony, Microsoft have all failed to deliver a successful product. Another reason? Thalmic is taking a “big swing” by launching a consumer-facing retail brand, per one source that BetaKit spoke with. With little prior consumer brand recognition (while compelling tech, the Myo armband was not a wide-selling success), Thalmic has decided to launch a net-new brand to sell smart glasses directly to consumers over white-labelling the technology, something that some of the world’s largest tech companies (Google, Sony, Microsoft) have failed in doing. It is unquestionably a big bet that few Canadian tech companies would be willing to make. 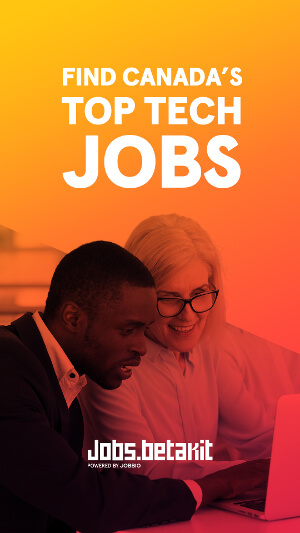 Thalmic’s last announced financing was a $158 million Series B funding round in September 2016, led by Amazon, Intel, and Fidelity Investments Canada. Multiple sources BetaKit spoke to indicated that the company will almost surely have to raise additional funding to support a consumer retail rollout. B2C startups are hard, and hardware startups are some of the hardest. With North, Thalmic is fully jumping into consumer hardware with both feet, raising the stakes of both failure and success. Update (09/22/18): This story has been updated with commentary from Thalmic’s co-founder and one of its investors. 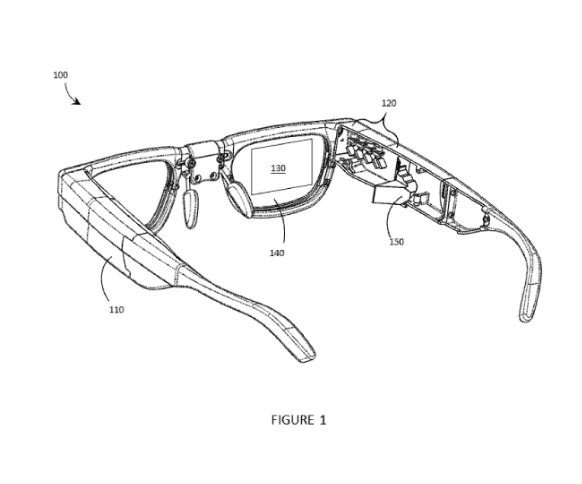 Those patents look exactly like the Vuzix Blade. These glasses only support Bluetooth 5.0, so you need your smartphone with you, because it looks like it doesn’t support wifi, it kind of makes sense, especially when these glasses only have a 700 MHA battery. Also it supports Amazon’s Alexa, which is a bummer. I was hoping they supported Google Assistant.